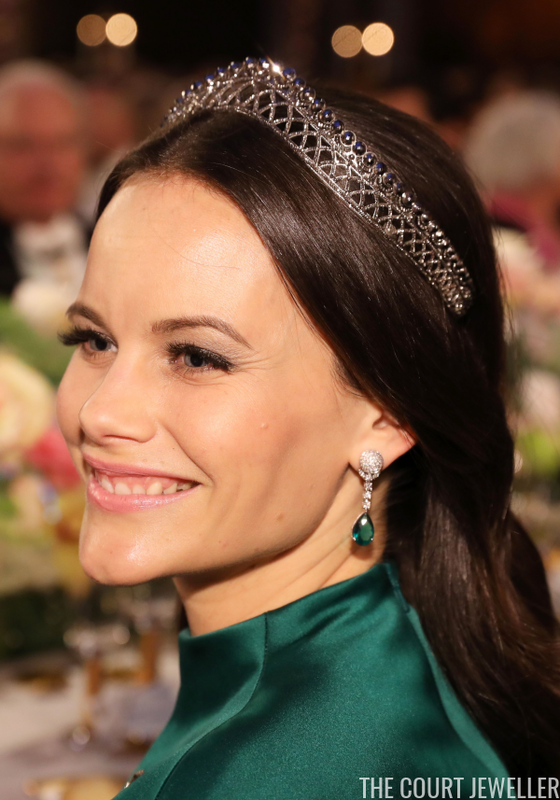 Hooray -- a brand-new tiara on Princess Sofia at this year's Nobel Prize ceremony! 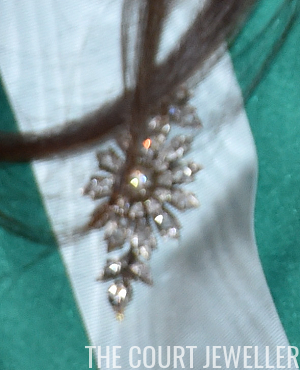 Here are close-up views of her jewels and gown from the banquet. 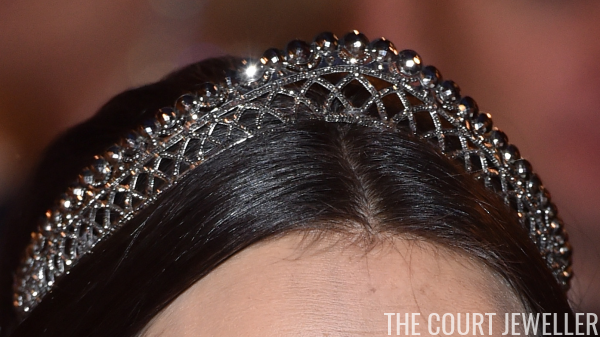 Sofia wore the smaller Cut-Steel Tiara, which uses highly-polished steel to sparkle rather than gemstones. The piece has a long row of small steel spheres set atop a latticework base. 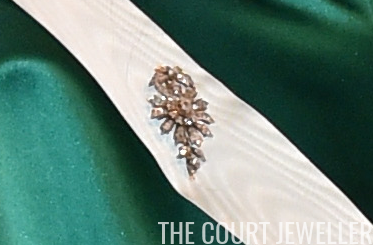 Until now, Crown Princess Victoria was the only member of the Swedish royal family who had worn this tiara in public. 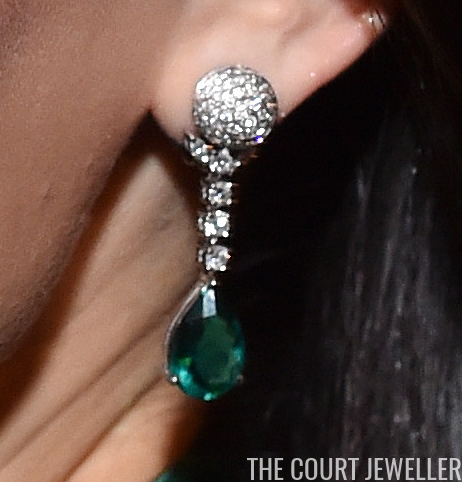 Sofia paired the tiara with the diamond and emerald earrings she also wore at last year's Nobels. The earrings feature a pave-set diamond stud with additional diamond leaves, a pendant of three round diamonds, and emerald drops. ...and also in this image. The piece appears to have floral elements in its design. Sofia also wore her father-in-law's Royal Family Order. 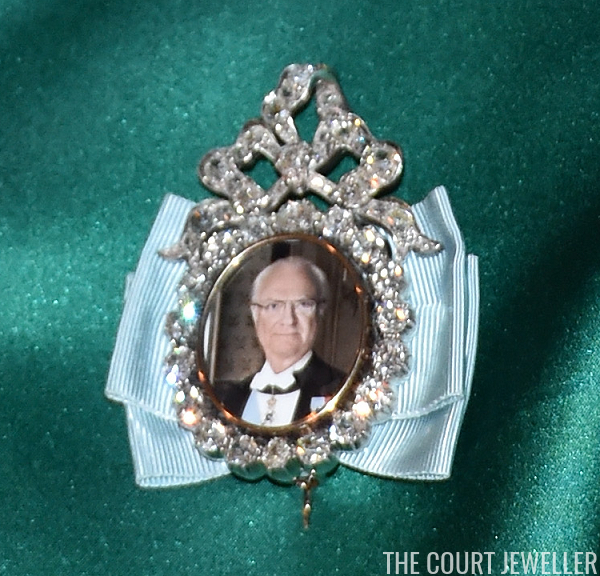 Unlike the British RFOs, each Swedish badge features a different portrait of the king. Sofia's features a more contemporary portrait of Carl Gustaf. 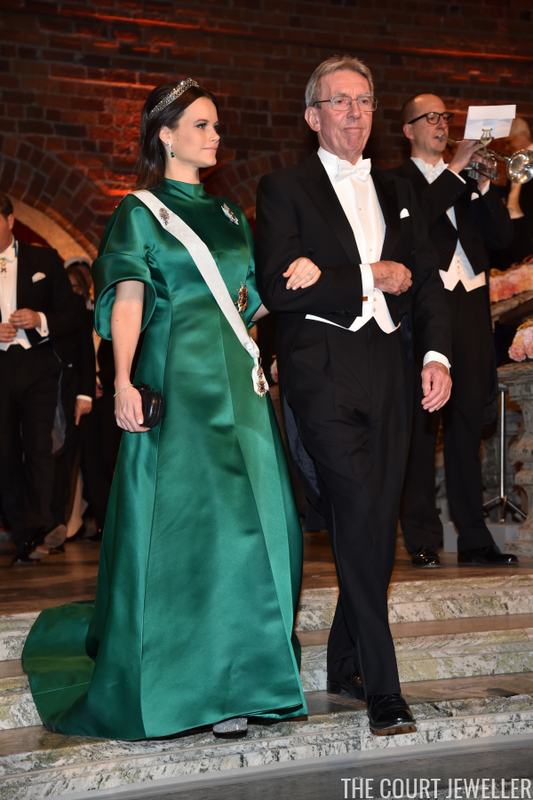 And here's a look at Sofia's gown, which was designed by the House of Dagmar. The color's great on her, but I'm not sure I'm sold on the fabric or the silhouette.